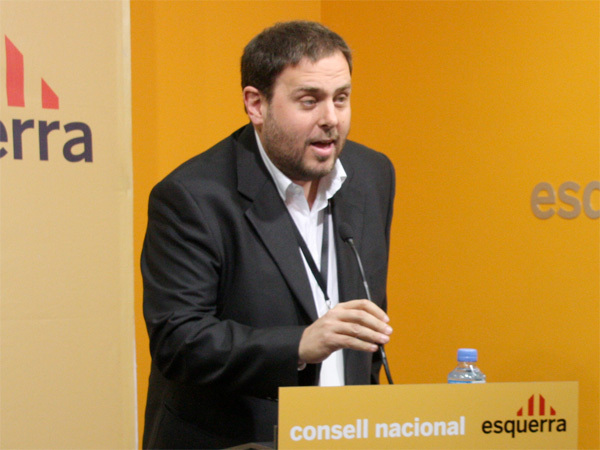 EFAy warmly felicitates Oriol Junqueras on his election as the new President of Esquerra Republicana de Catalunya. The European Free Alliance MEP was elected by ERC militants last Saturday with 92,07% of the votes. At the same time Marta Rovira, the Secretary General of the EFA party, was elected ERC Secretary General with 89,97% of the votes. Together with them, ERC militants elected with 65,81% of the votes Alfred Bosch, Oriol’s candidate to lead the ERC list in the upcoming Spanish elections set for November 20th. We wish the new team every success in their work!